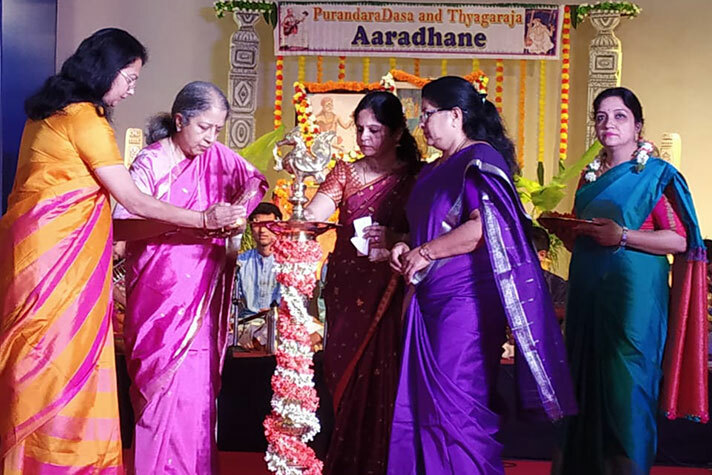 The second edition of Sri Purandaradasa and Thyagaraja Aradhane was held in the school auditorium on the 24th of November 2018. 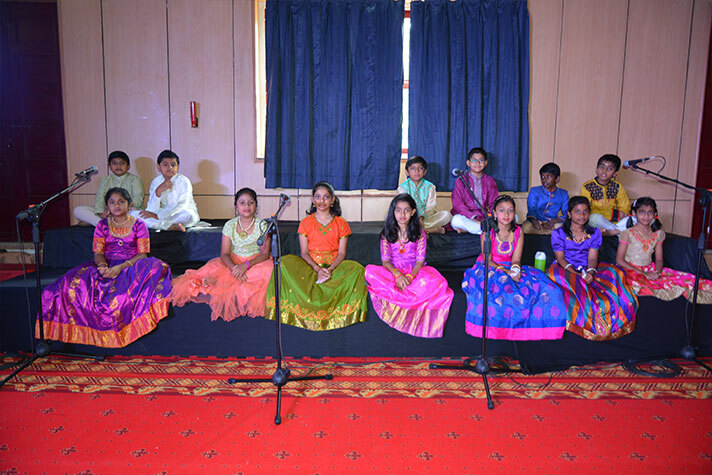 The auditorium was given an ambience fit for a royal musical concert. 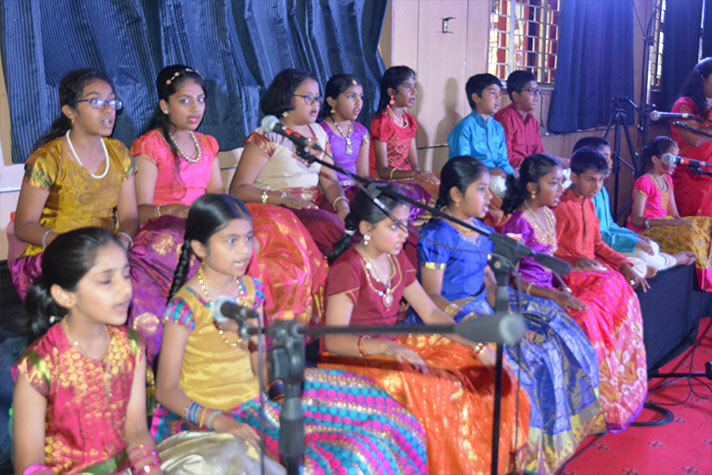 Our young singers of Grade 4 and 5 made their mark beginning with ‘Pillari Geethas’ by Sri Purandara Dasa, followed by ‘Shobillu Saptha Swara by Sri Thyagaraja. 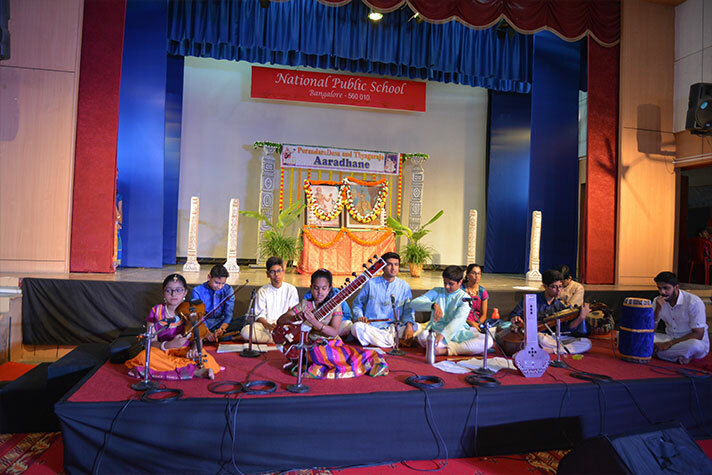 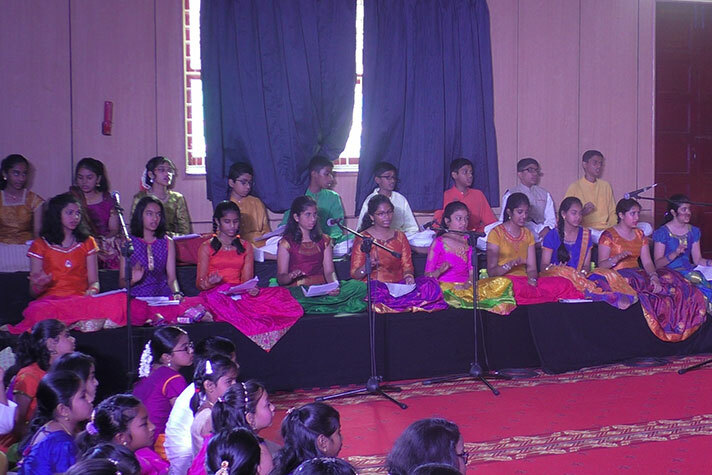 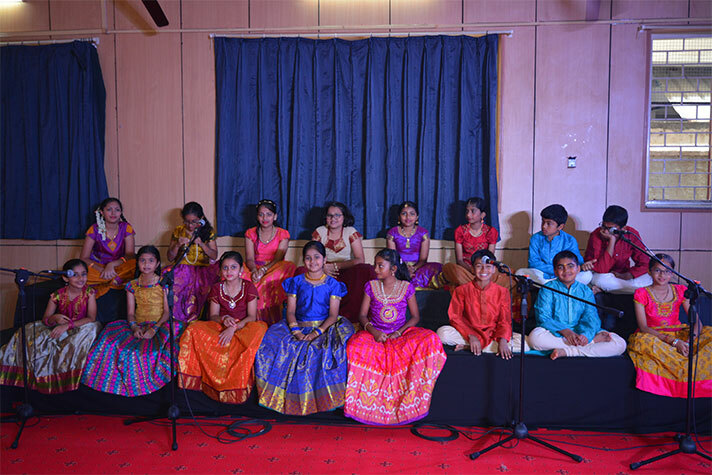 The young artistes of Grades 6-12 followed with their musical rendition that included two of the Pancharathna Kruthis and a Hindustani Bhajan as well. 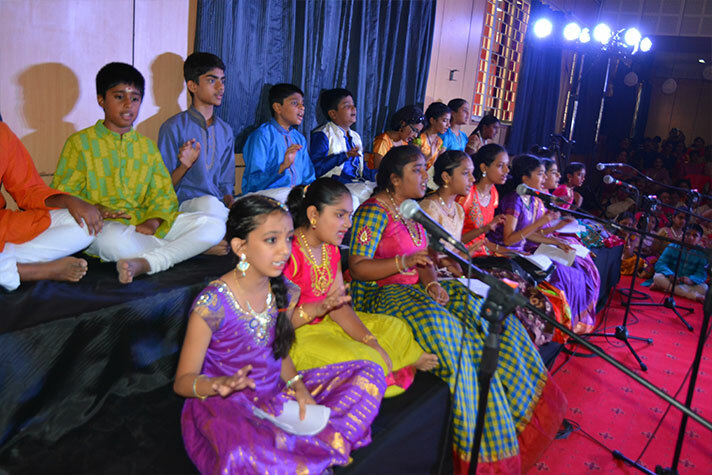 The instrumentalists comprised flautists, violinists, veena and sitar players accompanied by percussionists. 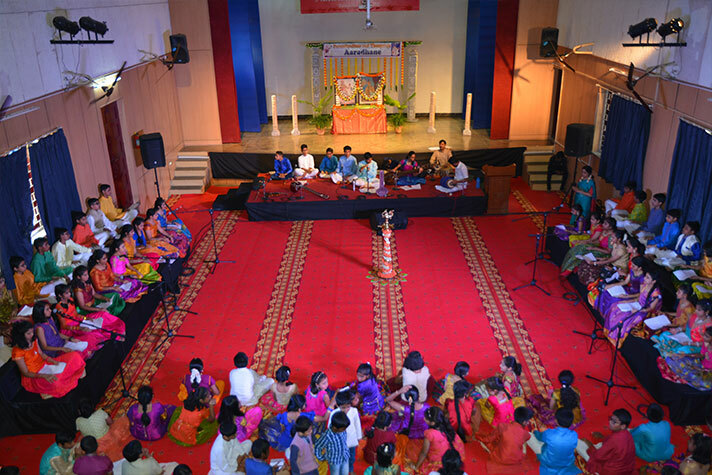 The audience joined in the ‘Goshti Gayana’ which added to the appeal of the program.